I had a few days of feeling a little crampy on and off where I thought maybe something was going to happen but it always stopped. I never had Braxton Hicks with my first pregnancy so that was a little confusing. The day she was born was just another day and I felt fine for most of it. Later in the afternoon I felt more and more uncomfortable but wasn't having contractions. Around 8pm I was uncomfortable enough that I just wanted to be by myself and not have to worry about my toddler Eleni (read her birth story here). The plan was for her to go stay with my sister in law Nicole when I went into labor but I wasn't sure if this was another false alarm. I called my mom (she's also a doula) who told me it would be a good idea to have Eleni picked up. That way maybe I could relax enough to let my body go into labor. I think Eleni was picked up around 8:30 or 9pm. My mom was now at the house with us convinced I was in labor (I wasn't so sure yet) and Nicole's boyfriend Ian was on his way over. Ian is an acupuncturist who agreed to come to the house to give me a treatment. I hate the crampy feeling of early labor. It's actually more uncomfortable and harder for me to cope with than actual contractions so when he asked if I wanted needles that would help me relax or get things going I said "get things going". My mom thinks I was crazy to say that as my first baby's labor was pretty quick (9 hours total). I laid on my bed on my side so Ian could place the needles in my back. Almost as soon as I laid down and got two or three needles in, I got intense heartburn where I needed to sit up. I also had a couple small contractions. He took out the needles and I sat up which felt much better. We then had the idea to sit me backwards in a chair in the living room so I could stay upright and still get the acupuncture treatment. While sitting in the chair, my husband Clinton was on the phone with the midwives to let them know tonight is looking like the night so they can be ready for our call when it's time for them to come over. Our midwife Kayti said to call her whenever we wanted her to come over as it would probably be awhile. She ultimately decided to head over to the house now and just sleep on the couch until we were ready for her help instead of waiting for a call (good idea on her part as I soon found out). Right about as Clinton got off the phone, Ian continued with acupuncture in my new upright position. It almost instantly put me into active labor! This was about 10:00pm. The contractions were strong enough that I needed to move and could no longer sit still enough for acupuncture. These were really intense contractions and they came one after another with barely any break in between. It was very difficult to stay relaxed and focused with how intense it was and this felt completely different from labor with my first. Clinton started filling up the birth tub while my mom suggested I get in the regular bathtub in the meantime. The water helped a lot. We had prepared hot washcloths with lavender essential oil in the crockpot and I draped them over my belly with each contraction. It felt amazing! The calming smell helped to distract me from the contractions. At this point we sent Ian on his way as I assumed it will be a few more hours and I didn't want him to just be sitting around with nothing to do. At about 11:15pm Kayti arrived and started getting her supplies ready. My mom was with me in the bathroom and helped me over to the birth tub. The water heater ran out of hot water before we got the birth tub filled but it was suggested that now would be a good time to get in. The warm water felt amazing. In the birth tub I could be upright and lean over the side with each contraction which was so much more comfortable than trying to be on my back in my bathtub. This is when my mom could switch into photographer mode and my Husband could step in as my support. He had been getting the tub and bedding all ready while I was laboring so it was nice to reconnect with him. I had some intense contractions in the tub. I remember burying my head into the towel Clinton had draped over the side and holding on to his arms for support. I looked into his eyes between each contraction and felt like I was telling an essay long story with each glance. This was HARD....way harder than my first baby. These contractions felt completely different; they had the force of a train thundering through me. It took all my focus to relax and surrender to the intensity but they were still getting away from me. It felt like riding a tsunami and I was holding on for dear life. At this point Kayti was still unpacking her supplies (it was about 11:30pm) so my mom called her over to check on me. Turns out the baby was crowning! Since we didn't get the tub filled all the way up, she said I needed to change positions so the baby would be born into the water (In a water birth you want to make sure they are born under the water and then come up to the air for their first breath). Kayti and Clinton helped me get from hands and knees flipped over to my back. Once you're in pushing mode its extremely difficult to move so that was interesting. Once I was on my back, I was able to do some much deeper breathing and try to slow down. The downward force of my body pushing for me was insanely strong. I tried my best to relax and open with each breath and use Hypnobirthing "J Breathing" instead of pushing to "breathe baby down". It felt like the baby was exploding out of me! I heard Kayti say she was coming as I felt her move down and out into her Daddy's hands. That's right, Clinton got to catch her! As I closed my eyes and took my sigh of relief I heard Kayti say she was born en caul! This is extremely rare and means that she was born completely still inside the amniotic sac (my water never broke). I got a quick glimpse of it before she broke out of the sac on her own on the way out. She was handed over to me and I got to say hello for the first time to my beautiful Augusta at 11:44pm. About an hour and 45 minutes of active labor! No wonder it was so intense. Shortly after she was born, our second midwife Sunshine arrived. She couldn’t believe she missed the birth but was there to help with all the postpartum care for me and baby for the next few hours before leaving us to bond with our new little one. I laid in bed with Augusta and nursed her for the first time while we waited for the chord to stop pulsing. It was actively pulsing for around 45 minutes! Then we asked my mom to cut the chord. Augusta took to nursing no problem which is always a relief. She was calm and alert. The midwives stayed until around 3am to make sure everyone was doing well. I had a bit ore bleeding than we wanted so after a few rounds of painful fundal massage and the most disgusting Chinese herbal drink I've ever tasted, I asked for the postpartum pitocin shot. That stopped the bleeding almost right away. We then settled in for the night for the first time with our little "Gus". 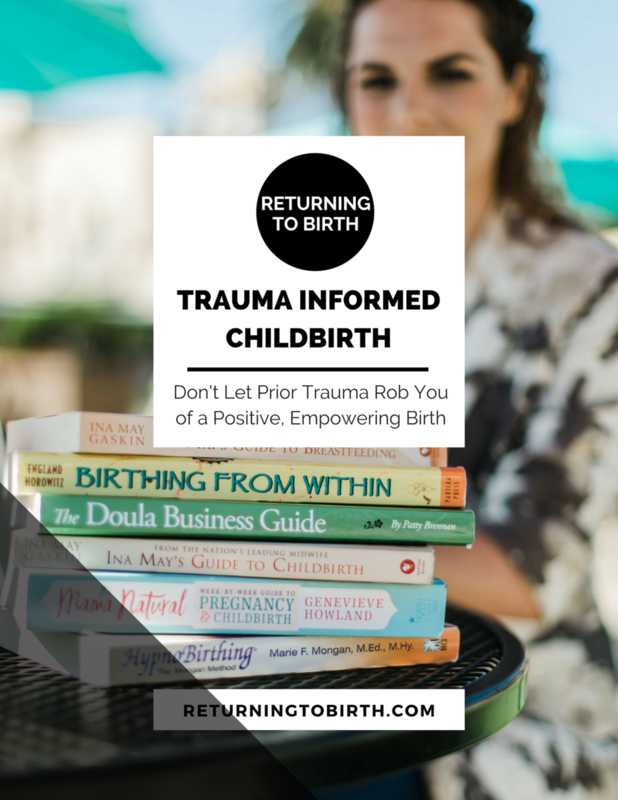 This birth experience taught me that I am strong and capable of amazing things. By trusting my body and my support system, I was able to surrender and be truly present for the birth my baby needed. This birth taught me that I deserve to feel safe and supported and that I have amazing people in my life like my husband and my mom that want that for me too.